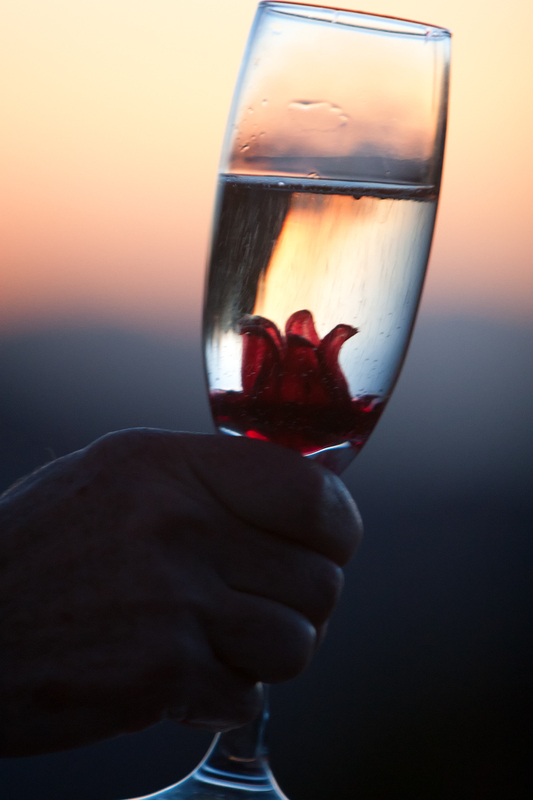 For approximately half a year, the Rebel Bartender worked at one of the wineries in the Sonoita region of Arizona – yes, we have wineries, and multiple areas of them, at that! 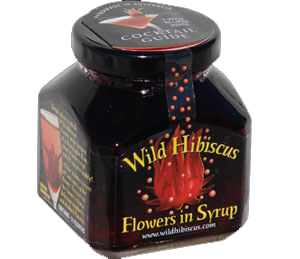 One of the products we regularly demonstrated were these: wild hibiscus flowers, candied in syrup. And while the salesmanship of the winery staff was certainly above par, the fact that we sold so many of these probably had more to do with the product itself than anything about our demonstration. Picture of Wild Hibiscus jar ganked from wholesalegourmet.net. Picture of hibiscus at sunset taken by the Rebel Spouse atop Mule Mountain, Arizona. Hailing from the Hendrick’s website, this little gem provided the Bartender with that rarest of all cocktail sentiments – the absolute conviction that it needs no tinkering or improving whatsoever. Fun as it can be to swap around ingredients and change the proportions to find that just-right balance, there’s also a distinct joy in finding that recipe that’s already perfectly formed. It’s much like finding a pearl washed up on the beach, and almost as rare an experience. The Bartender found this one particularly surprising – she had expected the grapefruit to completely overwhelm the other flavors, but instead found that it showcased the unusual flavors in Hendrick’s gin quite admirably. And then there’s that lovely pink color; fortunately, this time it’s attached to a drink that’s both tasty and visually striking. Shake all ingredients and strain into chilled martini glass. 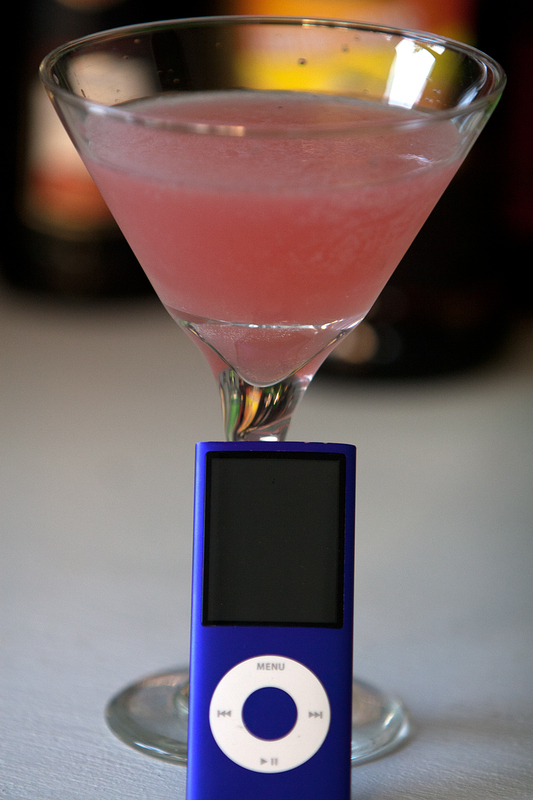 Garnish with a citrus twist, cucumber balls, or music device appropriate to your time period. Preferred By 1 Out Of 100 Gin Drinkers. Loved By a Tiny Handful of People all Over The World. Are the makers of Hendrick’s Gin attempting to market themselves the Anglophile-snob market, or simply to find some way to emphasize how their gin (and their campaign) is different from the usual crowd? Frankly, it’s anyone’s guess. But let the record show that the Bartender is a sucker for the elitist appeal, and would therefore likely h ave been interested in the stuff even if her favorite barkeep hadn’t recommended it to her. And in all fairness, the product is something new and different. Still gin, yes, but significantly less juniper-y than usual, with some surprising notes in the nose. The makers claim to infuse it with cucumber and rose petal essences, and while the Bartender’s faith in her own nose isn’t quite strong enough to override her knowledge of the powers of suggestion, she won’t argue with the assertion. There’s also very little harshness, other than what you might expect from the alcohol vapors. It’s on the tongue where the stuff really differentiates itself, though. The initial impression is very strongly sweet and floral, but a secondary fruitiness – yes, possibly English cucumber – slowly spreads over the tongue. The traditional “gin” flavor comes out more towards the end, with juniper and perhaps a touch of coriander on the finish. Note: Their website, while it strongly plays up the “whimsy” aspect to their marketing, is also worth exploring – in addition to the amusing design, you get some tasty recipes, clever ad copy, and surprisingly good ideas for cucumber garnish. 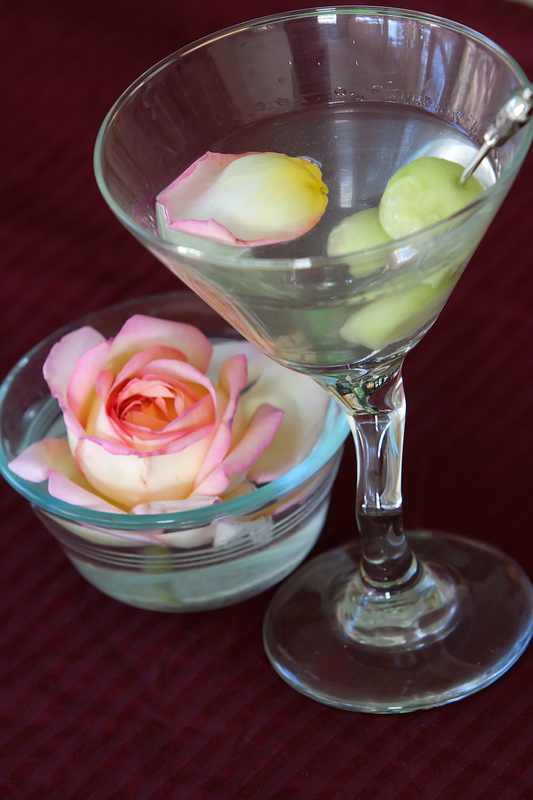 Might the Bartender recommend, from personal experience, a bone-dry martini garnished with cucumber balls on a pick and a rose petal or two floated on the surface? 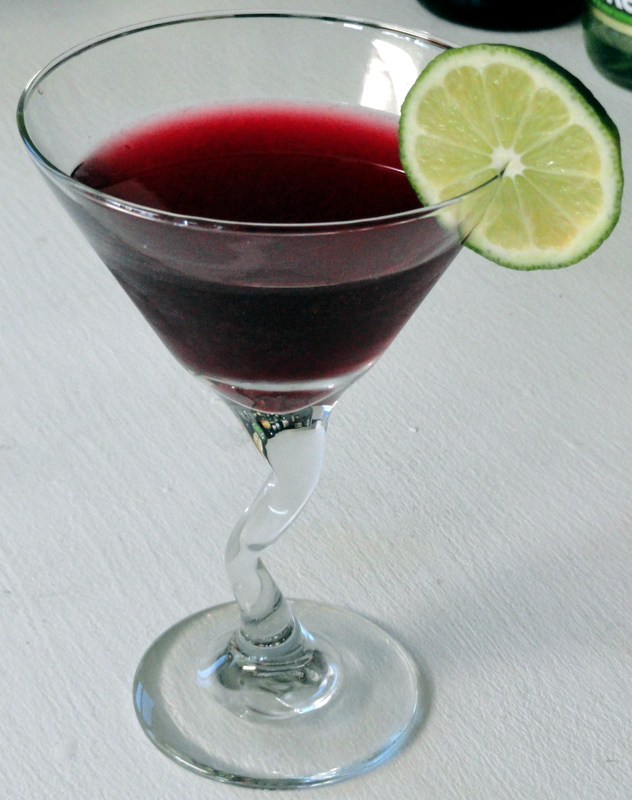 While a common ingredient in cocktails, grenadine these days is most often found in the shape of a Rose’s bottle on the shelf at your local liquor store for some outrageous sum (hint: you can replicate the product easily simply by adding red food coloring to a far cheaper bottle of corn syrup). Its origins were not always so ignoble, however; once upon a time, the stuff was made from pomegranate juice. Indeed, if you’ll excuse the quick bit of language pedantry, grenadine’s name comes from the French grenada; our term for its source fruit likely comes from their pomme-grenada, “seeded apple”. One could argue that, given the extremely small amounts generally used in a given cocktail, grenadine suffers no particular loss from its gradual cheapening into what is effectively red syrup. The Rebel Bartender, however, being a bit of a snob, suggests that you make your own classic grenadine – it’s surprisingly easy, and lends a vibrant color to whatever infusion you happen to adulterate it with. Put juice in saucepan and heat on medium for a minute or two; whisk in sugar. Continue whisking until thoroughly dissolved, then cool and funnel into clean container of your choice. Cover and refrigerate; should keep for at least a month. Photo of Rose’s Grenadine stolen from BevMo’s website. Rejoice, friends; The Rebel Bartender has reached a milestone. Thanks once again to the fine clerks at Plaza Liquors, the Bartender has her first free sample for review! In point of fact, this post represents two firsts; Luxardo also happens to be her first experience with sambuca of any sort. Keep in mind, therefore, that this is a purely objective review; the Bartender’s lack of comparative experience may make it less than useful to those experienced with the spirit. But every body of knowledge has to start with a few scattered facts; and it appears that today is a good day for fact-gathering. So here we go! Sambuca (or, at least, white sambuca) is a simple creature. Anise is the major (perhaps only) flavoring in the stuff, and the nose makes that extremely clear. Very sweet, very potent, not very complex on its own – there’s a lot of black liquorice and not much else. 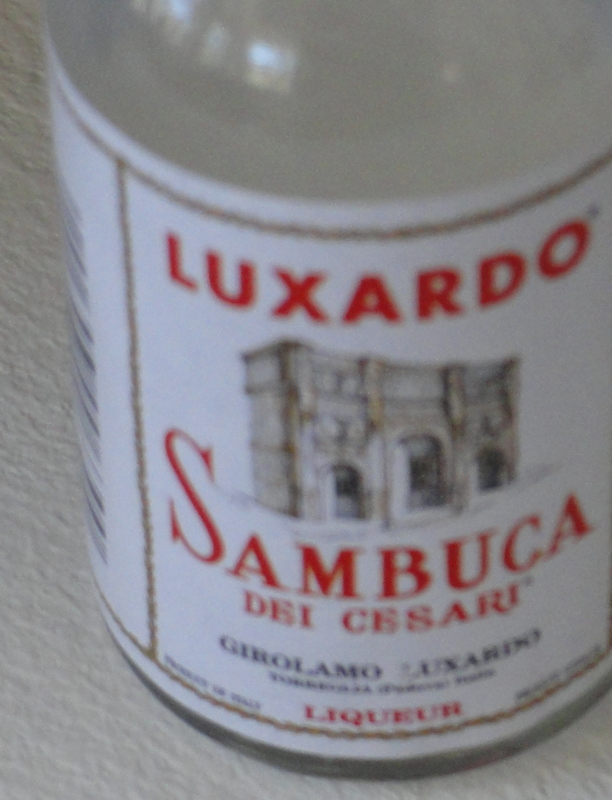 However, sambuca is traditionally served with three coffee beans, representing (depending on the source) the Father, Son and Holy Ghost; health, wealth, and happiness; or “romance” (with no additional explanation offered). Whatever the symbolic importance, the beans are also important functionally – they add a much-needed extra dimension to the nose, the coffee and anise smells complementing each other nicely. Aside from sounding like an inn in medieval Europe, this is a delightful drink that makes for an excellent summer afternoon pick-me-up (or put-me-down – it may not taste like it, but the Duchess is blushing for a reason!). It’s also one of the few drinks that needs no extra touches for presentation; a mint sprig would add a nice dash of color if one is feeling particularly ambitious, but otherwise, the drink itself is lovely to behold. Turbinado sugar is a type of raw sugar that you can find for obscene prices in the supermarket’s baking aisle, or for quite reasonable prices in bulk at the local co-op or health food store. (If you’ve ever tried Sugar in the Raw, you know what to look for.) You can substitute plain white sugar in a pinch, but turbinado has the dual advantage of the superior flavor and prettier presentation. The quality of your grapefruit will make a significant difference here; if you can get it, the Bartender especially recommends fresh Arizona grapefruit due to its soft texture and sweeter flavor. Be careful, though – the stuff is like citrus crack. Once you start buying it you may not be able to stop. The recipe is originally from Grey Goose’s website (with, of course, a couple of tweaks); the Bartender discovered it as part of her ongoing campaign to find a drink that makes the stuff worth the $30ish price tag. Having tried it with both Goose and with Skyy (her standby mixer), she can safely recommend that one use higher-quality vodka in this drink; the grapefruit helps hide the harshness, but Skyy’s bitter flavor still came out strongly. If you don’t feel like shelling out for Goose, however, something less expensive but still quality like Ketel One would probably do the trick nicely. Edit, 4/27/11: Having tried it with Ketel One, the Bartender actually recommends it over Goose for this drink – K-1’s citrus overtones, rather than being overwhelmed as expected, in fact complement the grapefruit beautifully. Run the inside of a grapefruit peel around the rim of a rocks glass and coat it with turbinado sugar. Roll the grapefruit wedges in remaining sugar and put them in the bottom of a shaker; muddle vigorously. Add vodka, triple sec, and ice; shake, then pour everything (including ice and grapefruit wedges) into the rocks glass. 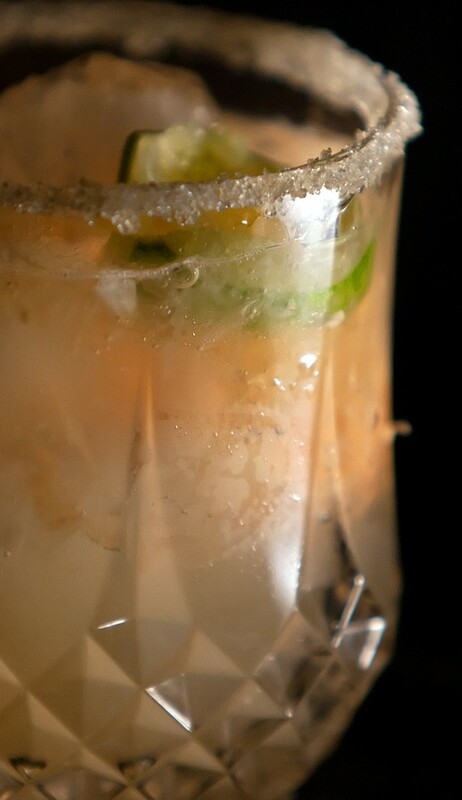 Squeeze the wedge of lime into the drink and serve! And here we come to the seventh and final installment in this series, and possibly the most enjoyable one. Tinkering with a recipe is fun, and showing off your technique is great, but it’s that moment where the recipient first lays eyes on the completed product that differentiates between the ultimate assessment of “That was tasty” and “Wow!”. People may be able to fall in love with each other slowly, true, but when it comes to drinks it’s love at first sight or not at all. Or, to paraphrase Megamind’s best line, what’s the difference between a drink and super-drink? Presentation! We’ve already addressed the first step in the process – having proper glassware handy. And while this might seem to go without saying, the Bartender will emphasize it anyway – your serving glass should be clean, dry, and free of chips or cracks. Always hold the glassware by the stem, if you can – it keeps unsightly fingerprints off of the part that actually displays the drink. The next part of the equation is the drink itself. If it’s a shaken cocktail, things are pretty simple – although a popular trick is to add a dash of egg white to create a pleasant white froth at the top. (Pro tip: For more tropical-flavored drinks, coconut milk will do the same without the danger of salmonella poisoning.) Certain drinks, however, will create a layered effect when you build them over ice; as you learn the relative densities of different ingredients, you can add them in the proper order to create that graduated-color look that’s always impressive. (Just remember to offer the recipient a straw or a swizzle stick!) If you’re making a drink with herbs of some sort, be extra-enthusiastic with your muddling – smaller pieces that tear off will float in the liquid and often look quite striking. Finally, however, there is the pièce de résistance, the part where the aspiring bartender can really show their creativity – the garnish. From the classic maraschino cherry to a mouse painstakingly carved from a single radish, the garnish is often the most visually interesting part of the cocktail, and therefore what really grabs the recipient’s attention. Invest in some toothpicks (or, even better, long metal cocktail picks), and start experimenting. For tropical drinks, chunks of fresh fruit are always pretty, especially when speared on a paper umbrella. If the flavor is more herbal, try floating pieces of fresh basil on the surface, or garnishing with a sprig of rosemary. Candy is also fun and eye-catching, especially for sweeter drinks: There’s the classic peppermint stick in a cup of hot chocolate; you could try floating a sour gummi on the surface of that liquid Jolly Rancher, or spearing a fun-size Snickers bar for that chocolatini. Even purely decorative garnishes still add visual interest to your creation. When you have a frothy surface (either from a cream-based ingredient or whipped cream topping), you can sprinkle a spice atop it: freshly-grated nutmeg or ground cardamom both look emininently classy. Be careful, though – spices will add a surprising kick to your concoction, so don’t overdo it, and make certain that the flavors are complementary! In this endless garden of possibilities, do keep in mind that not every garnish has to be fancy or complex. 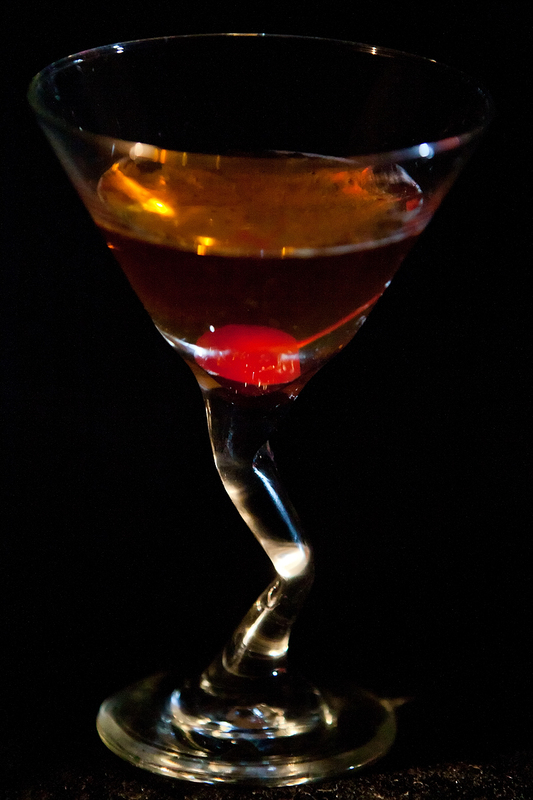 Indeed, there’s a reason some of the simplest creations are the most iconic – serving a Manhattan with anything other than a single maraschino cherry might well make you a victim of mob justice in certain circles. The Bartender recently was impressed by a drink designed to taste fruity, spicy and Christmasy; the garnish was simply a pick strung with small dried cranberries and golden raisins. Simple, striking, elegant. But there’s also nothing wrong with letting your inner Lady Gaga go hog-wild. 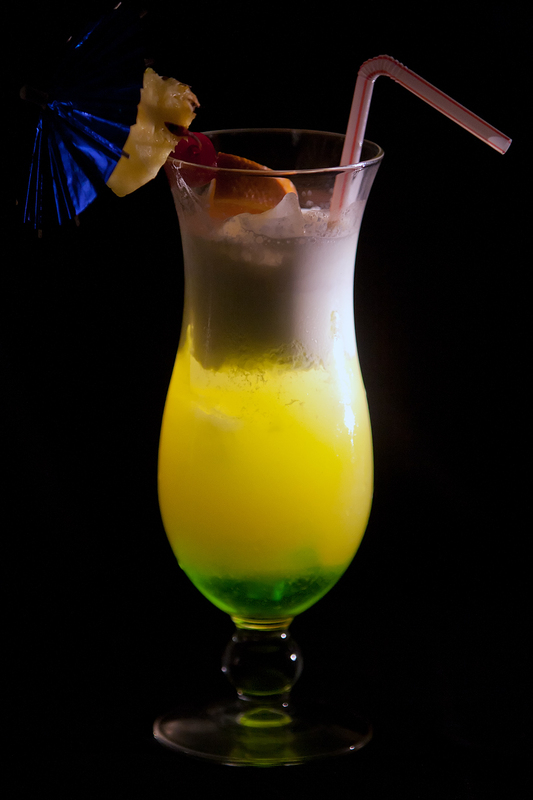 Maybe incredibly elaborate and colorful garnishes will be your trademark. Maybe you’ll be known for your riffs on the classics. 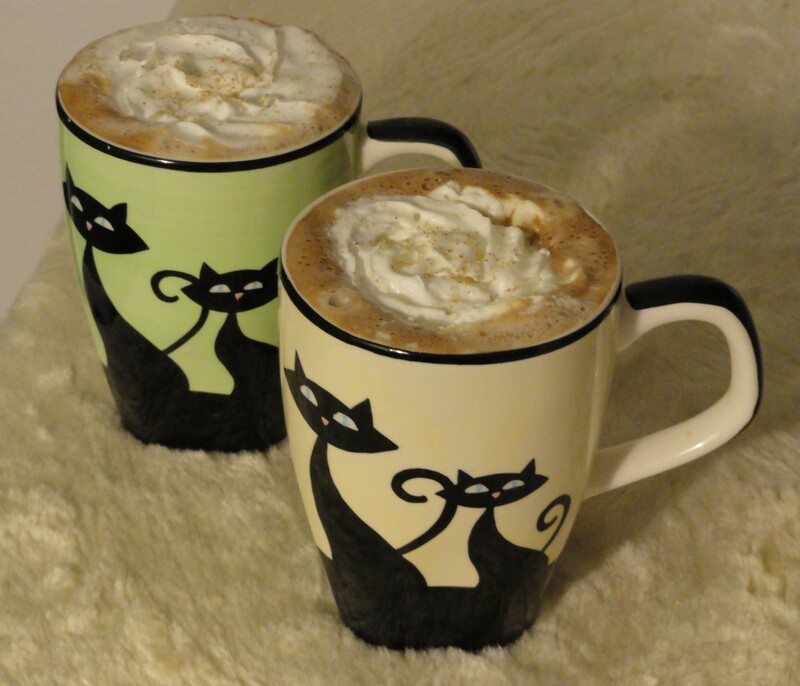 Perhaps you’ll find ways to create minor works of art out of common household objects. Experimentation is fun – but when you unveil your creations to the “oohs” and “ahhs” of the recipients, you’ll start to see where the real joy of bartending lies.